A recording of highly trained modern-day musicians having a blast, spreading out and swinging on nice tunes! Virtuosic wind player Joseph Howell swings on an energetic, happy session jazz standards. 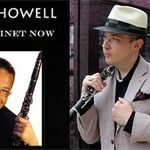 Become a fan of Joseph Howell to hear about new music, videos, event info & special offers.